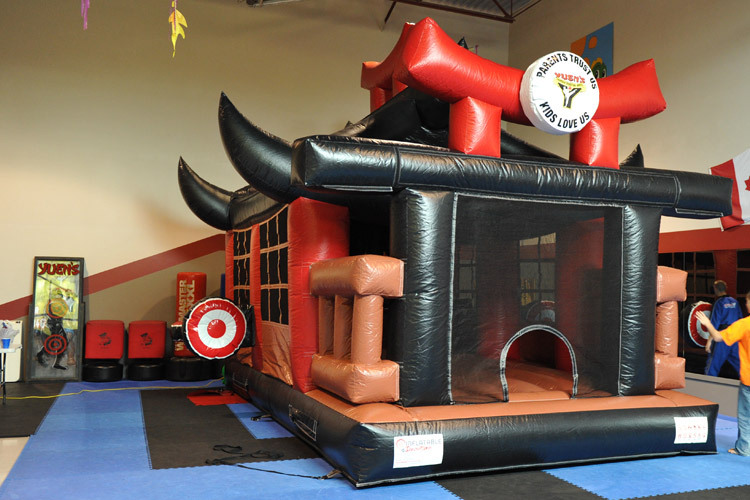 Only $199 and featuring the new Bouncy Dojo! Martial Arts birthday parties are FUN for you and your friends. Now, you and 12 of your friends can enjoy games and lots of martial arts action! Your child’s birthday is a special occasion. Let us make it a magical moment. We set up the party and do all of the work. The best part is you don’t have to clean up after the party is over. Space is limited for this popular event. CALL TODAY for more details and reserve your birthday party 604-460-0046. Call us at 604 460-0046 to reserve your birthday party or sign up below and we’ll follow up.